Australian top prospect Jeff Horn is scheduled to face the Legend Manny Pacquiao of the Philippines for the WBO World welterweight title on April 23, 2017, at Suncorp Stadium, Brisbane, Queensland, Australia. The undefeated Australian is positive that he can defeat the Filipino icon. Pacquiao was knocked out 3 times in his career, first in 1996 against the Filipino Rustico Torrecampo via 3rd round body knock out, 2nd was against Medgoen Singsurat of Thailand in 1999, Pacquiao down once in round 3 and last against Juan Manuel Marquez last 2012 via 6th round KO. 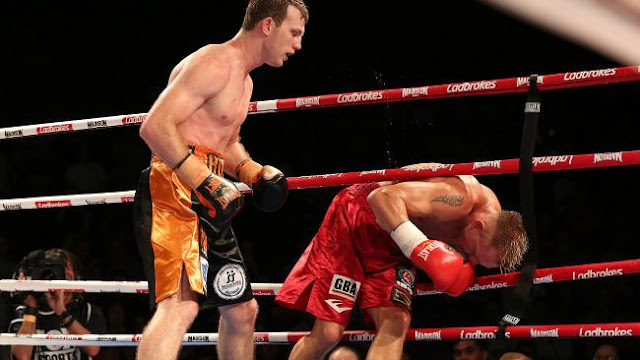 Jeff Horn knocks out 11 in his 16 professional fights, and he absolutely won consecutively by KO last year. Also read: Arum: "We plan to have Manny fight four times this year"